LISCO Premium Open Mesh windscreens are fabricated using 2” heavy-duty seatbelt webbing around the perimeter, with an extra line of webbing every 3’ the entire length of the windscreen. Size No.4 grommets are inset every 18” around perimeter webbing and every 18” in center webbing strip. The 9′ windscreen has two center webbing strips, the 6′ has one center webbing strip. Premium Open Mesh windscreens have a 15% – 20% air flow-through. Colors available are Green, Black and Royal Blue. 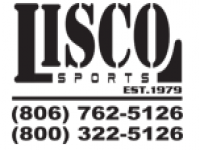 LISCO Standard Open Mesh poly-windscreen are constructed the same and with the same material as the Premium Open Mesh, except the 9′ windscreen has one center webbing strip and the 6′ and 4′ have no center webbing strip. Standard Open Mesh windscreens have a 15% – 20% air flow-through. Colors available are Green, Black and Royal Blue. LISCO Premium Closed Mesh poly-windscreens are constructed from 100% polypropylene material that is heat set to prevent shrinkage. Closed Mesh also has 2” heavy-duty seatbelt webbing stitched around the perimeter, with an extra line of webbing every 3’ the entire length of the windscreen. Size No.4 grommets are inset every 18” around perimeter webbing and every 18” in center webbing. The 9′ windscreen has two center webbing strips, the 6′ has one center webbing strip. Closed Mesh windscreens have a 5% to 10% air flow-through. Colors available are Green and Black. All LISCO poly-windscreen materials are mildew proof with maximum ultra violet inhibitors to prolong their longevity in sun and high wind areas. For installation and securing windscreens to the fence, LISCO uses 8” Black Heavy Duty (120 lb test) UVA treated cable ties around the perimeter and ¼” Black Poly-Twist rope through the center webbing strip. Installation and measuring instructions are available.